All wreaths are made to order by hand. We have been featured in Better Homes and Gardens Magazine, TV's Extreme Makeover: Home Edition, Southern Living Magazine Home Builders, Nails Magazine, and many other blogs and websites. 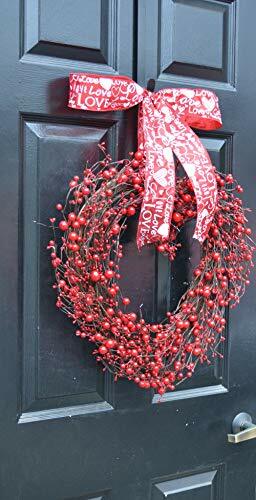 Discover quality, stylish, gorgeous hand-made wreaths. Great all year round. 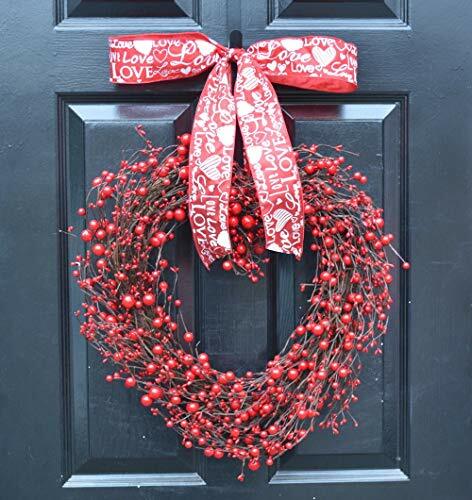 All berry wreaths are sprayed with a UV and Weather Protector. Great for Winter, Spring, Summer and Autumn. Great for Valentine's Day, Weddings or even Christmas! Use all seasons and holidays. Beautiful red colors. 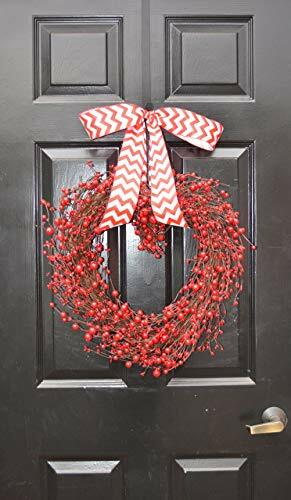 Wreaths are 4 inches deep, 20 inches wide and 26 inches high (with bow).